Whether you are active duty, separated, or retired, you can apply to your service's Board for the Correction of Military Records if you feel there is an error or an injustice in your military personnel records. 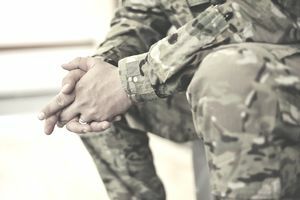 Any person with military records, or his or her heirs or legal representative, may apply to the appropriate service's Board for the Correction of Military Records. The Army, Air Force, and Coast Guard have separate boards. The Navy operates the board for both Navy personnel and members of the United States Marine Corps. Title 10, United States Code, Section 1552, is the law governing correction of military records. This statute authorizes the Secretary of the service concerned to correct any military record when "necessary to correct an error or injustice." The purpose of this statute was to relieve Congress from consideration of private bills to correct errors or injustices in military records. The statute provides for the service secretaries to act through a board of appointed civilians in considering applications for correction of military records. AFI 36-2603, Air Force Board for Correction of Military Records, implements the statute within the Air Force. Army Regulation 15-185 implements the statute within the Army. The Code of Federal Regulations; Title 33, Part 52;2. implements the statute within the Coast Guard. The Navy and Marine Corps implement the statute through The Navy, Code of Federal Regulations; Title 32, Part 723. You should exhaust other administrative remedies before appealing to your service's board. For example, you should first submit a performance report appeal to the appropriate appeal agency before appealing to your service's military records correction board. An appeal ​requesting upgrade of discharge should normally be submitted to the service's Discharge Review Board under Department of Defense Directive (DoDD) 1332.28, Discharge Review Board (DRB) Procedures and Standards. The board will return your application if you have not first sought relief through the appropriate administrative process. You should submit your request within 3 years after you discover, or reasonably could have discovered, the error or injustice. The boards review the merits of untimely applications. If found to be meritorious, the timeliness is waived in the interest of justice. You should not assume, however, that a waiver will be granted. Application is a simple process; you should use a DD Form 149, Application for Correction of Military Record. Section 1552. You should complete the form very carefully by typing or printing the requested information. Attach copies of statements or records that are relevant to your case. Make sure you sign item 16 of the form. Mail the completed form to the appropriate address on the back side of the form. The Board will correct your military records only if you can prove that you are the victim of error or injustice. You do this by providing evidence, such as signed statements from you and other witnesses or copies of records that support your case. It is not enough to provide the names of witnesses. The Board will not contact your witnesses to obtain statements. You should contact your witnesses to get their signed statements with your request. Your own statement is important. Begin in item 9 of the DD Form 149 and continue in item 17, if necessary. You may also put your statement on plain paper and attach it to the form. Limit your statement to not more than 25 pages. Explain what happened and why it is an error or injustice in simple, direct terms. The best evidence is statements from persons who have direct knowledge or involvement. For example, statements from persons in your rating chain if you are contesting a performance report. Or a statement from the person who counseled you if you are alleging miscounseling. Character references from community leaders and others who know you are helpful if you are requesting clemency based on post-service activities and accomplishments. This is only a general rule, however. You must decide what evidence will best support your case. It may take you some time to gather statements and records to support your request. You may wish to delay the submission of your application until information gathering is complete. You should, however, submit your request within the 3-year time limit. With few exceptions, all personnel records generated by the military may be corrected by the Board. The Board cannot, however, change the verdict of a court-martial imposed after May 4, 1950. In these cases, the Board’s authority is limited to changing the sentence received on the basis of clemency. The Board will mail you a copy of the applicable service regulation at your request. Advice and guidance are available from many sources. Military Personnel specialists can advise you on personnel issues. Veteran service organizations will advise you even though you decide to represent yourself. You may discuss your case with a Board staff member, or you may write to the Board, and a staff member will respond to your questions. You may request a personal appearance before the Board by checking the appropriate box on DD Form 149, item 6. The Board will decide whether a personal appearance is necessary to decide your case. Travel expenses are your responsibility. The Board grants very few personal appearances, so you should try to fully present your case in writing. If your request for a personal appearance is granted, the Board will provide you with the necessary details. It may be unnecessary for you to comment on the advisory opinion. If you have nothing further to say, don’t bother to respond. Failure to comment on an advisory opinion does not mean you agree. Nor will it prevent full and fair consideration of your application. Each Service Secretary appoints high-level civilian employees who work for the military service concerned to serve on the Board. Service is normally an additional duty for those appointed. Usually, about 47 people serve on the Board. Members are randomly assigned to three-member panels for consideration of cases. Cases are randomly assigned to panels. Board staff members research issues and provide technical advice to the panel members. They do not take sides or recommend a decision to the panel. Panel members receive a copy of the case for study before they meet. They normally discuss your case in closed session before voting. Their decision is based on the evidence in the case file. Following the vote on your case, the panel chairperson signs a record of proceedings. The record of proceedings will explain the reasons for the decision on your case. The Service Secretary concerned has the final authority to accept or reject a recommendation of the Board. In most cases, it is accepted. When the Board completes your case, the decision is mailed to you. If relief is granted, your records will be corrected and finance personnel will review your case to see if you are due any monetary benefits. The Board is the highest level of administrative appeal and provides the final military decision. If the Board denies your case, your next step is to request reconsideration or file a suit in the court system. You may request reconsideration of the decision on your case. The Board will reconsider your case only if you provide newly discovered relevant evidence that was not reasonably available when you filed your original application. The evidence may pertain to the timeliness of your application or to its merits. You should submit your request for reconsideration within a reasonable time after you discover the new evidence. Re-argument of the same evidence will not get your case reconsidered.